Education: Conservatory in Črnomelj, Slovenia. Jože Šterbenc was born on 11th November, 1912, in the town of Snečji Vrh near Črnomelj. He grew up in a farming family with his brother and sisters. He attended primary school and completed in 1927. His musical talent was first noticed by Mr. Pavlin Bitnar, who made it possible for him to enrol, In 1929 at the Cecilian school for organ studies in Ljubljana, and then in 1930, at the secondary level at the State Conservatory in Ljubljana. The Instrumental section at this school was taught by Prof. Stanko Premrl for organ, and composition by Prof. Slavko Osterc and Lucijan M. Škerjanc. In addition, Prof. Karl Jeraj taught him the violin at the Glasbena Matica in Ljubljana. Prof. Vinko Beličič, being a ‘contented, courageous flame, a unique march into his future’. Unfortunately, the ten years of joyful musical composing and small family fortune, were disrupted by the Second World War. After the capitulation of Italy, he walked towards Reka, Croatia, in the hope that the English were there, but he fell into German hands and was taken from Trieste towards Berlin. In Germany, he was placed in the Osnabruck camp. He met with Serb officers (he himself was a reserve infantry lieutenant) and with them established a men’s choir. In autumn of 1944 the camp was bombed by the allies. He was moved to the Polish border, from where he walked to Bremen because of the Russian bombing. He remained there until the end of the second World War. He stayed for two years in the small village of Vorde, where he joined the British army. When he realized that he would not be able to return to his homeland, he set out for Australia. At first he lived in Sydney, but then he moved to live in Adelaide. 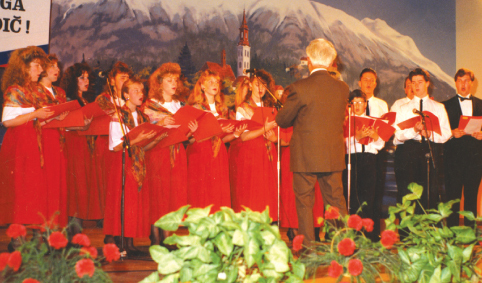 In his spare time, he was active in the existing Slovenian community, where he led various choirs. 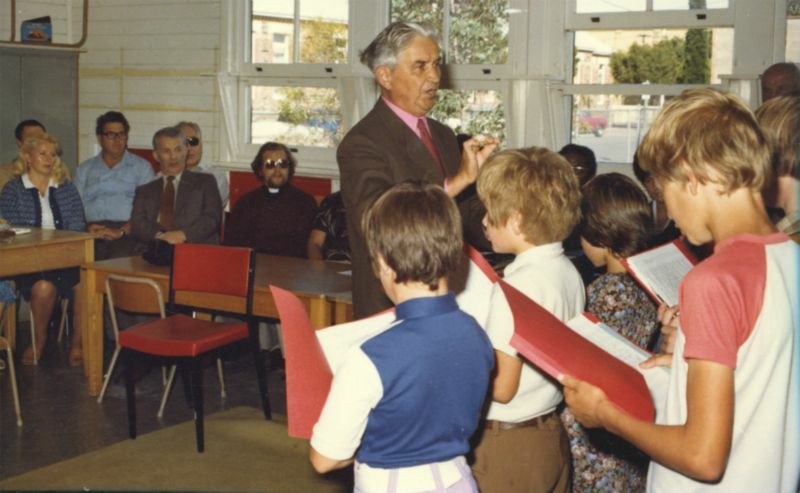 With the youth choir particularly, he toured a part of Australia with them and reached new heights. Up until his death, he was the organist at the Slovenian church Holy Family in Adelaide. The new surroundings and ways, didn’t inspire the composer Josip Šterbinc to creative work, and this period didn’t see any new compositions. He died on 8th August, 1992, in Adelaide. Jože Šterbenc directed his attention mainly to the field of vocal music for different purposes, he wrote instrumental music, particularly for organ and piano. He was well educated in music and mastered compositions designing chromatic harmony and is well versed in correct compositional grading. The youthful compositions he set to music show that he was able to find the corresponding musical voice, even though from time to time we are surprised by some melodic act tied with chords. The composition of songs is designed around popular language and themes and In this way, celebrates the manner of popular music. The piano piece “Preludio’ is something special, a composition of musical meditation, in which the composer has found expression with harmonic fantasy. The choral piece is fancifully designed, both in arrangement and single compositions. In them he finds interesting and fresh harmony. The choral compositions are treated as instrumental. In the Slovenian and Latin churches there are ideal pieces of music where the composition shows luxurious chromatic, almost harmonic fantasy, which was presented In Its entirety In Maria’s and other songs (Ti moja Mati, jaz tvoj otrok, Darovanje – Svet, Pozdravljena zlat pšenični klas, Darovanje za adventne nedelje, Marija, ki jezus tvoj sin, So angeli dvignili peroti). Composers freely use musical tone as pieces of music are for free and undemanding choirs. Such groups of performers probably would not take on the challenge. On the other hand there are groups which are open to musical fantasy. These sometimes, or always are swept away by the tonal framework: Pasterica, Ob spominu. Greatest mastery was reached by the composer Josip Šterbenc in: Vabilo and Iskal sem svojih mladih dni. In traditional language he put together a musically convincing collection of songs. I truly wish that Sterbenc’s compositions which incorporate our cultural consciousness, will find a voice in our choirs and stage performances. 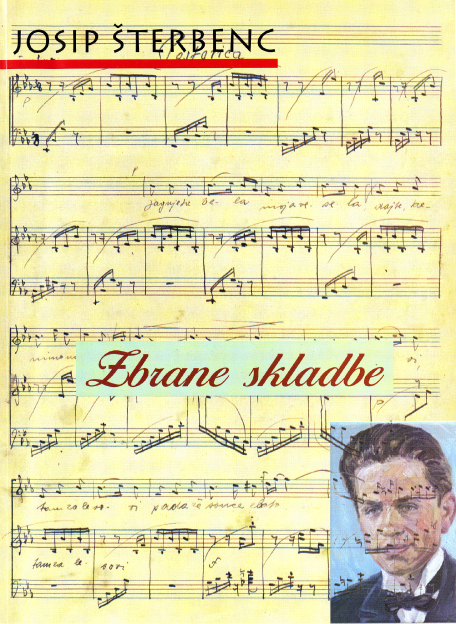 Some information about the composer and cunductor Josip Šterbenc is published in the book by Draga Gelt Chronicle of Slovenian Schools and Slovenian Language Teachers in Australia, 2010.